3-in-1’s are popular in Malaysia where I grew up in. You can find 3-in-1’s in many grocery stores in Vancouver but you will find that most of them are made in Malaysia. I always suspect that 3-in-1’s are only popular in Singapore and Malaysia. So, do you find that in your country too? Anyway, White Coffee (or better know as Ipoh White Coffee) is a popular brew in Malaysia. White coffee is produced by roasting the beans with only margarine and without any sugar, resulting in a roast that is less dark, hence the term “white” coffee. 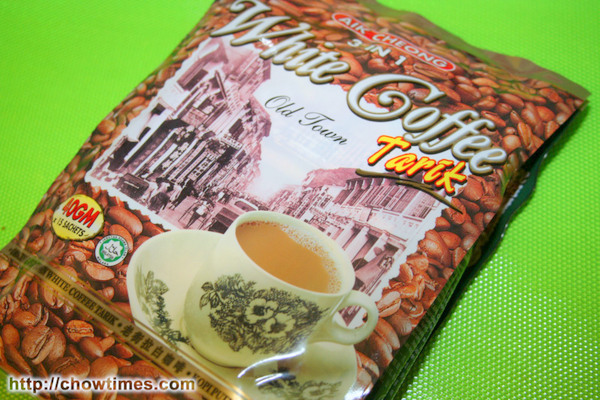 We bought the “Ipoh White Coffee” 3-in-1’s from the Smart ‘N’ Save store in Lansdowne. Each pack (see below) costs $5.48 and contains 15 sachets in all. Hello all … the PC at home stopped working yesterday. It has been getting increasingly eratic the past two weeks. The system got too slow and of late IE requires a few starts before it launches. Yesterday, it just refuses to launch at all!! Ditto with FireFox. We decided to reformat the whole machine. 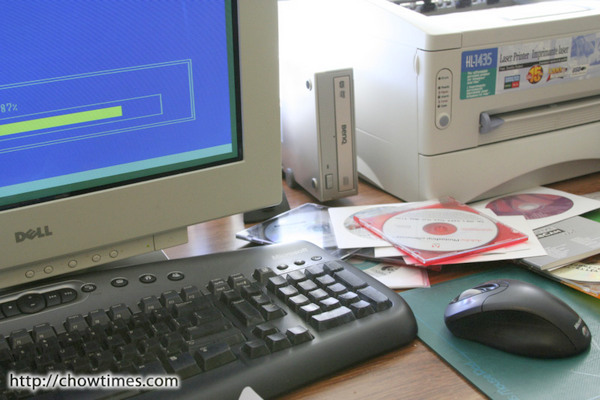 So, we’re not posting today having spent the good part of today backing up the hard disk and will shortly reinstall the programs. Gosh! The photos itself took four whole DVDs — I shudder to think how long it’ll take to restore them all. Shahdad swore that the bestest Shawarma in Vancouver is found in Burnaby’s Abdul BBQ, He brought us to try it out and it was simply fabulous. So, over the weekend, I simply had to bring Suanne and try it herself. 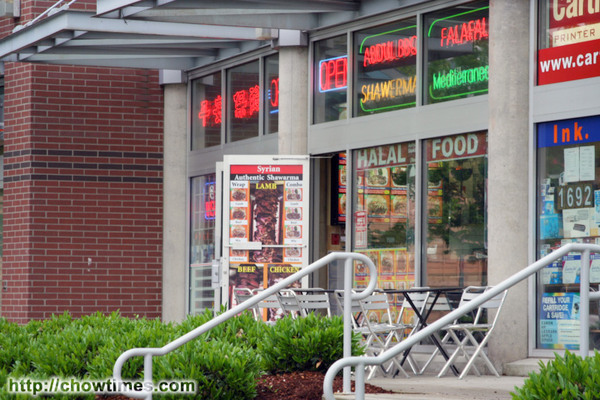 Abdul’s BBQ is located in the Crystal Mall on Kingsway and Willingdon. It’s a small shop located facing Kingsway. You will not miss it driving past the Mall on Kingsway. Abdul’s is a small shop with about seating for 12 on the inside. Abdul also set up a couple of tables outside his shop. Ordering is very simple because he had very big pictures posters of his menu plastered on the outside. Shawarma (sometimes also spelt as shawerma) is a middle eastern way of cooking meat. 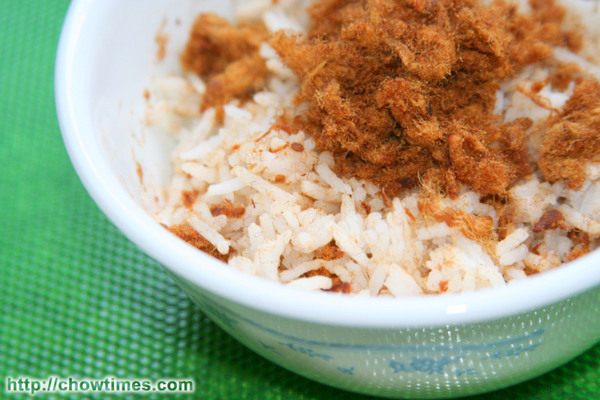 Common meat used are beef, lamb and chicken. The meats are cooked on a rotating machine with sources of heat over a period of several hours. Abdul has three shawarma machines, each skewered with beef, chicken and lamb. He said that he normally will finish selling all these food by the end of day. His business had steadily grown since he opened his outlet in the Crystal Mall. He told me that when he started he had only a quarter of what you see above and today he often had to turn away customers at the end of day because his is completely sold out. 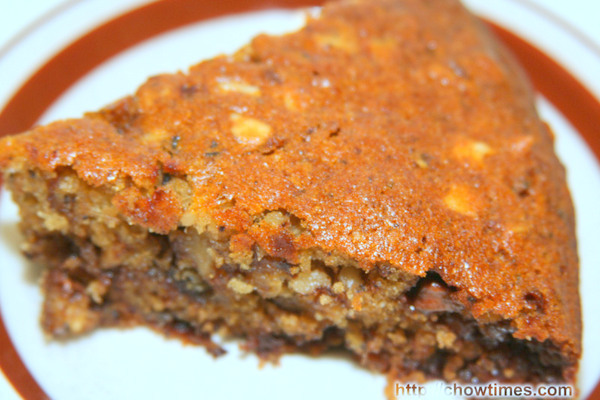 This is Minoo’s second recipe which is Jude’s Date, Nut and Chocolate Chip Cake. This is a cake filled with lots of goodies like honey, date, walnut and chocolate chip. This is quite a dense cake and it’s preferably bake in a shallow pan to prevent overbrowning of the edges while the inside is not fully cooked. I have no idea why this is called Jude’s Cake. I tried googling it but came up with nothing on it at all. 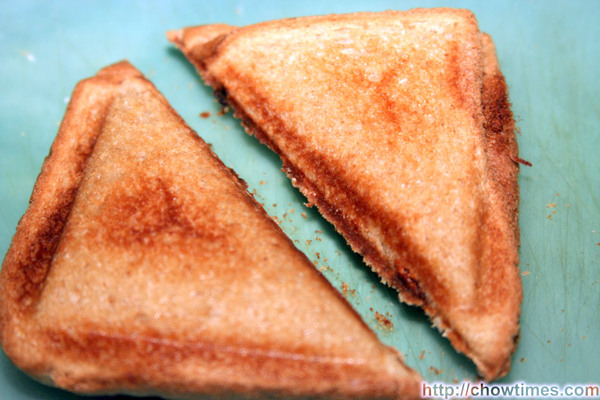 Anyone of you out there know why this is called Jude’s Cake? For all I know, Jude might just be someone Minoo knows. We were invited to Minoo’s Cooking Class in Caring Place yesterday. Minoo whipped up two dishes, Curried Red Lentil Soup and Jude’s Date, Nut and Chocolate Chip Cake. Here is the recipe for the first dish, Curried Red Lentil Soup. Lentil is a good substitution for protein for vegetarian eater. Lentil is cheap compare to meat and it’s also high in fiber. It is very filling and yet light to our wallet. 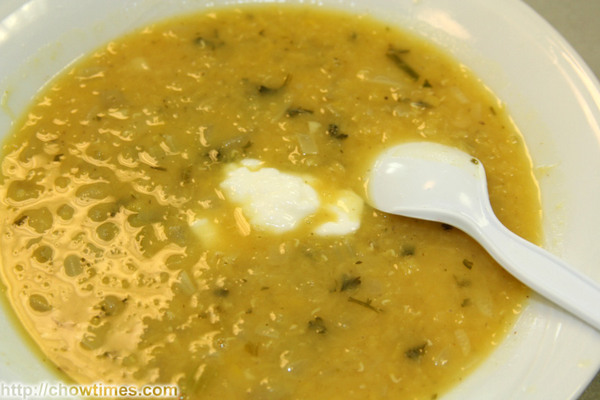 A bowl of creamy Curried Red Lentil Soup is great on a cold winter day. While I was browsing through my recipe collections this week, I found this Portuguese Tart recipe. I don’t remember if I have ever made it before. 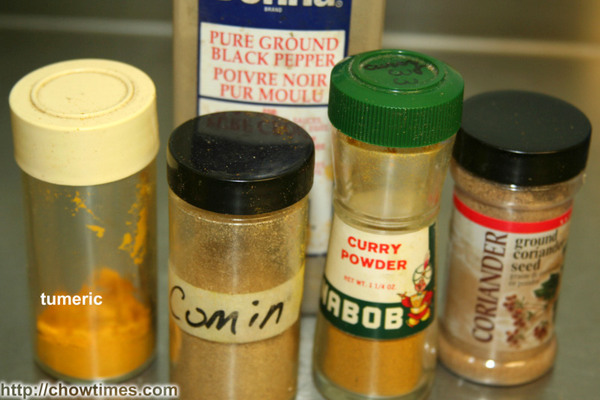 I love to collect recipes and most of the recipes just lay in my collection and never being used at all. Do you have the same feeling? I’m wanted something sweet and I remember the ingredients of the Portuguese Tart do spell ‘SWEET’ in it. So, I decided to give it a try. 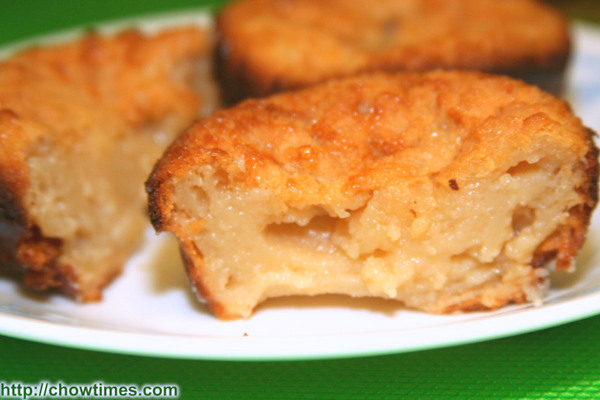 The Portuguese Tart is caramelized on the outside and has a custard like texture inside. It satisfies any sweet tooth and I’ll bet you just can’t eat one only. Today’s Community Kitchen cooking class was led by Wonnie. Although Wonnie is a quiet and unassuming person but she led the class well today. Wonnie made two dishes today. 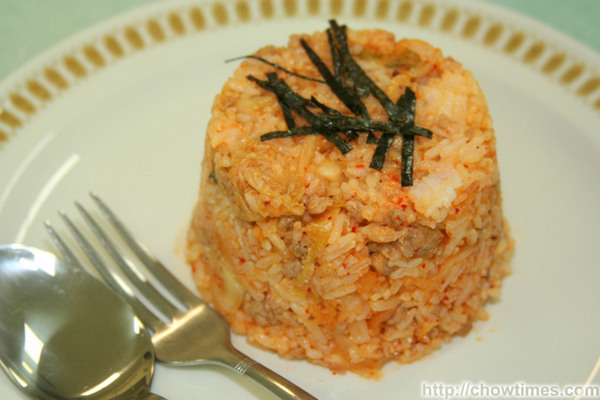 The first dish is Tofu pudding. 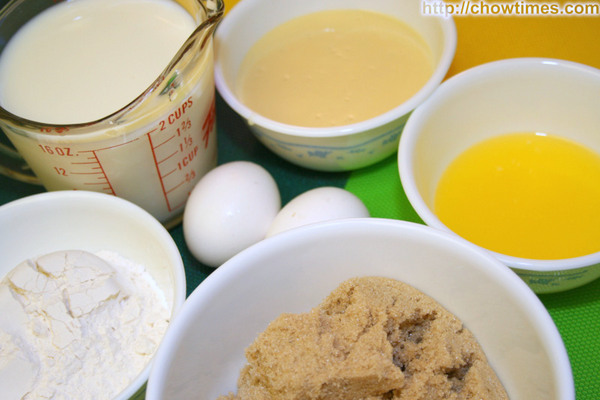 I had featured the Tofu Pudding recipe in my blog sometime ago and so I would not describe Wonnie’s recipe. 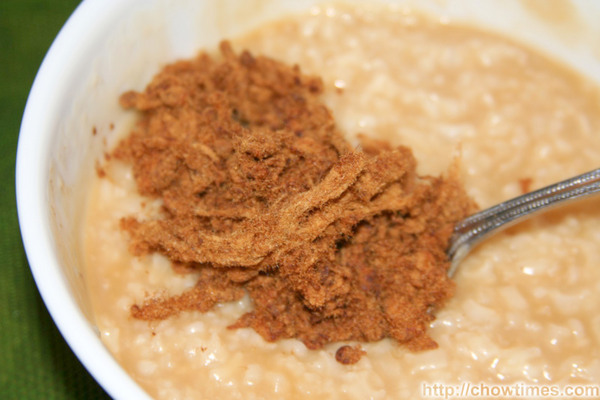 Click here for the tofu pudding recipe. 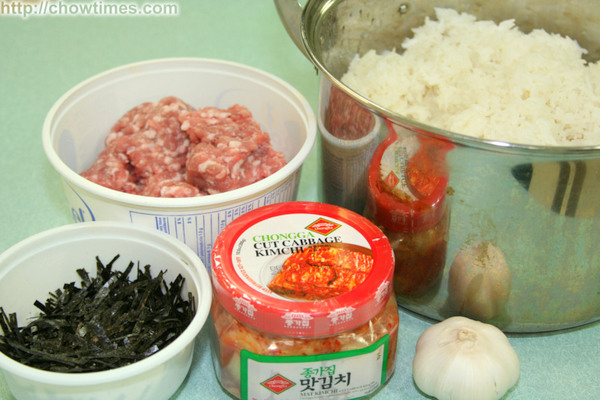 Now, the second dish that Wonnie made was Kimchee and Pork Fried Rice. 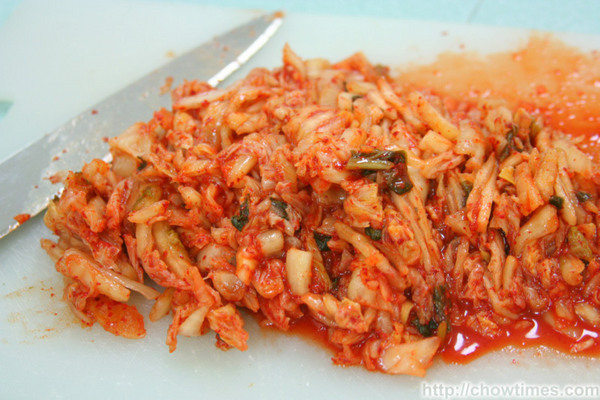 The Kimchee and Pork Fried Rice is very appetizing with a mild tanginess and spiciness from the kimchee. We all enjoyed it very much. 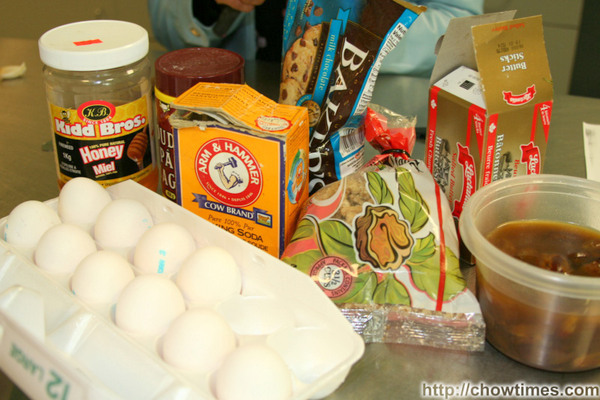 Let me tell you … we were not that adventurous when it comes to groceries before we started blogging. We just always go to the same aisle and buys only stuff we are familiar with. Since we wanted to blog on something new these days, we began to pay more attention to stuff we normally ignore. 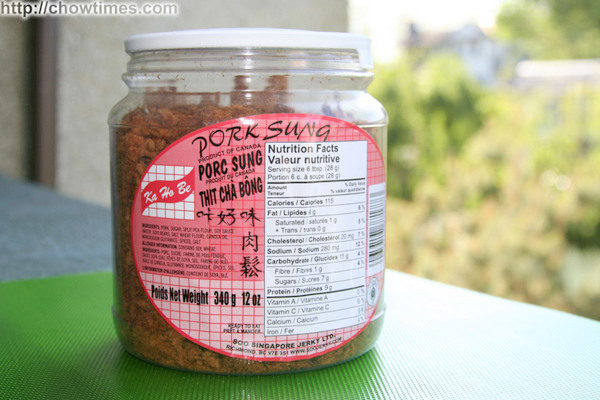 This is one new food to us and have never heard of. Focaccia (pronounced as foh-KAH-cha) is a flat bread topped with stuff, very much like what you see in pizzas. Except that we see that they don’t use pizza sauce, at least not the one we bought. 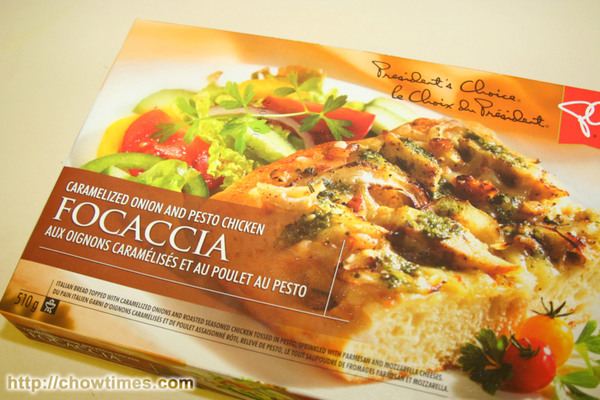 The one below, caramelized oinion and pesto chicken, costs $4.99 only. Focaccia is a popular Italian and Greek dish. 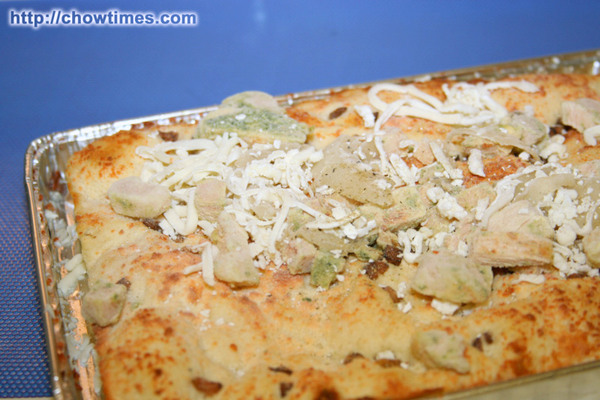 It is often baked with herbs and cheese added to the dough. Focaccia can be looked upon as a predecessor of the modern pizza. 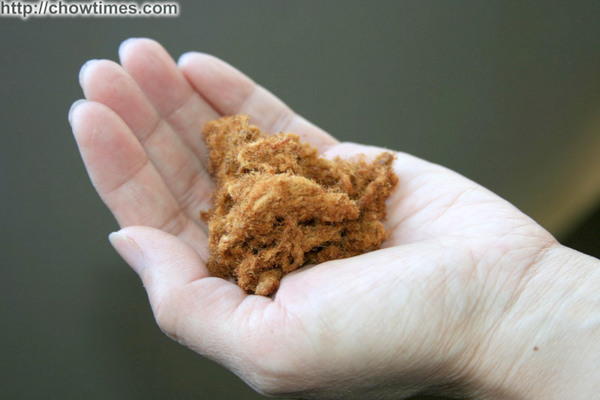 We normally don’t care too much for cookies off the store shelves. 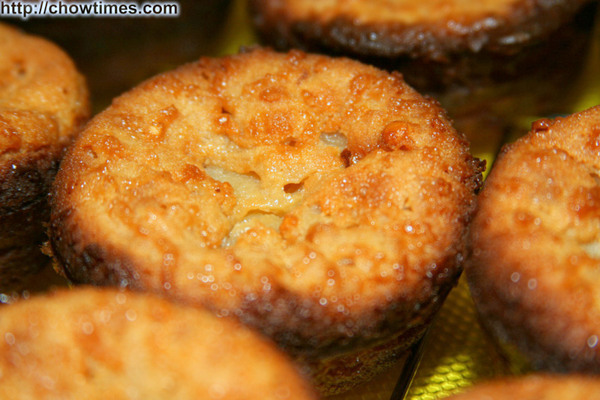 We felt that they are simply loaded with too much sugar and trans fat. So we normally skip the cookies aisle during grocery shopping. A friend at work introduced the Desiree Wafers from Hans Freitag last week to me. It was surprisingly very different from other wafers that I’ve tried. They were lights, crunchy and not too sweet. Both Arkensen and Nanzaro loves it. We found the Desiree at the Big Crazy grocery store along No 3 in Richmond. Each bag of 400g costs $2.99. 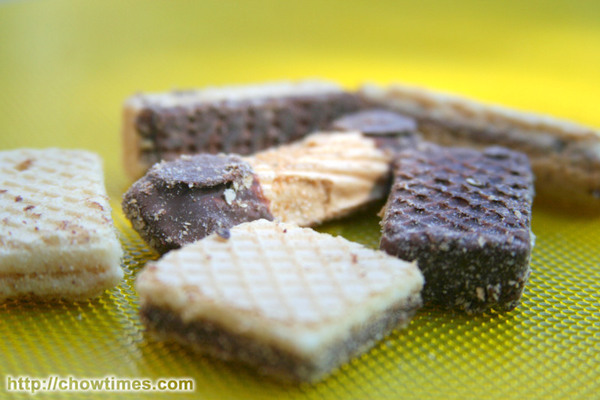 Hans Freitag opened a small wafer factory in Germany just one year after the end of WWII, They specialize only in making cookies and wafers. 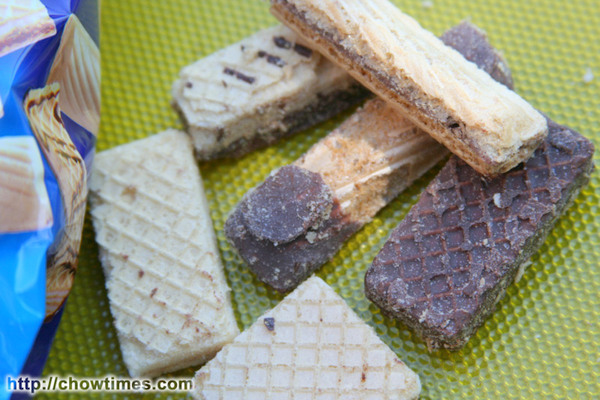 Today the company is still family owned and their product range has now grown up to 50 types of cookies and wafers. 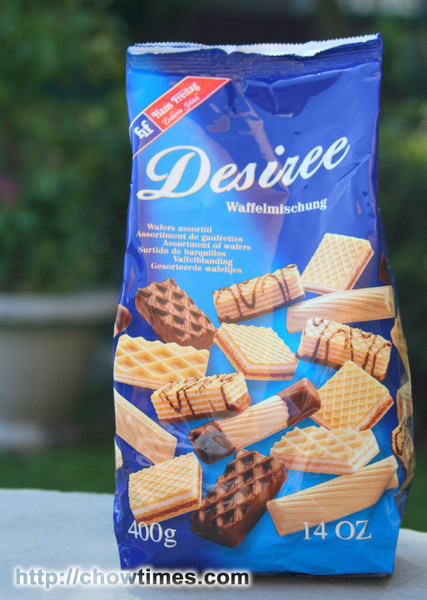 In the Desiree bag, there are about six different types of wafers. Some of them were chocolate coated while some were filled with chocolates. Others were simply vanilla creams.